Is the Backbone Bikeway Network all it’s cracked up to be? A local cyclist offers an intriguing analysis of why the Backbone Bikeway Network may not be the best thing for L.A. Most importantly, although riding on secondary streets is not the same as riding on arterials, people who characterize it as inferior are wrong. A simple glance at the design guidelines in the New Draft Bike Plan reveals physical solutions that prioritize secondary streets for bicyclists, de-prioritizing them for auto-traffic. We don’t have to subscribe to the auto-oriented hierarchy of roads (i.e. freeway-highway-arterial-collector-residential). We are bicyclists! We are free! We can invent our own system. We can embrace the solutions that turn collector streets into bike boulevards and create a new world for ourselves, rather than futilely struggling to be part of one that is hostile to us. Possibly the most egregious part of BBN support comes with the claim that it represents a “plan with a backbone.” Planning is more than drawing lines on a map. In a city like Los Angeles, it entails a mind-numbingly awesome amount of research and work, collaborating with various government branches and assessing the needs of myriad communities. 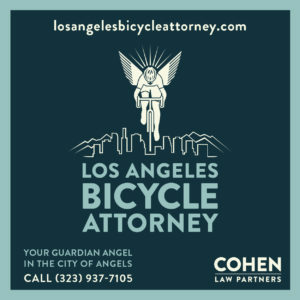 Creating a plan that incorporates all competing interests takes time, effort and energy—not to mention risk of public shaming, which has happened plenty within the zany LA bicycle world. It isn’t easy to hash out specific solutions and details in a room with other people who disagree with you. It is much easier to insulate oneself in a room where everyone agrees with you, and it is even easier to mistake that insulation as strength. It’s a well written and insightful criticism of a plan that has admittedly received an overwhelmingly positive response from the cycling community. And whether or not you support the Backbone Bikeway Network, it’s worth reading all the way through. From my perspective, what we need are a mix of arterials and secondary roads; overemphasis on one or the other won’t meet the needs of the city’s riders. While many cyclists — myself included — prefer riding side streets, others may not, for a number of reasons. One of the many problems with L.A.’s roadway system is that side streets often stop and start frequently, and a street that is safe, wide and quiet can become narrow and crowded within just a few blocks. As a result, it can frequently be a challenge to get from one part of the city to another without riding primary streets. And that, in a nutshell, is the biggest problem I, and many other cyclists, had with the last draft of the bike plan. 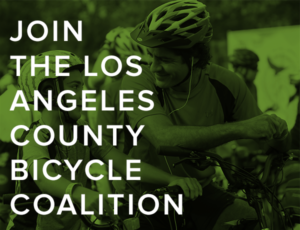 While I liked the idea of bike-friendly streets and the collector system it offered, it lacked the viable cross-city routes we need to get to and from work and school, or just visit the many great neighborhoods and communities that make up Los Angeles. 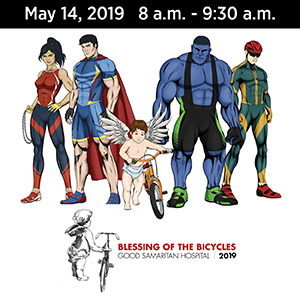 It is also a misconception that the Backbone Network will require bike lanes along major boulevards, or the removal of parking or traffic lanes. Rather, it is, as I understand it — because I was not involved in either its creation or promoting it after — simply the recognition that these are streets that cyclists will use, and that they should be optimized in some way to make them safer and more convenient for riders. 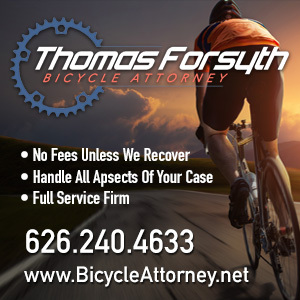 In some areas, that could take dramatic forms, such as reconfiguring the roadway, while in others it may be nothing more than improved traffic signalization, better enforcement and signs saying bikes are allowed full use of the lane. By itself, the Backbone Bikeway Network is not the solution to anything. But integrated into a network of bike lanes, bike boulevards, bike-friendly streets and off-road paths such as the Orange Line Bike Path or the planned Expo Line Bikeway, it could provide a way to ride safely through your own neighborhood, to get to and from the local market, or get to any other neighborhood throughout the city. If the revised plan accomplishes that, it will be a huge step forward; if not, it will fail. But if nothing else, the Backbone Network has succeeded beyond all expectations in one key way. For the first time, it had the entire city talking about making a place for bikes on the streets of L.A.
And that alone was an act of genius. The Press-Enterprise offers the most detailed report yet on the tragic death of pro cyclist Jorge Alvarado last week. The comments are another matter; some go out of their way to blame the victim for being on the road — or perhaps the planet. Two weeks, two wins — after winning the Tour of Flanders last weekend, Fabian Cancellara wins in a spectacular breakaway on the cobblestones of the legendary Paris-Roubaix classic, aka the Hell of the North. Bleah. That whole critique is steeped in incorrect assumptions. The guys has no gumption, thus he thinks that secondary streets are the only viable means of setting up a bikeways network and thinks the Back Bone Network is doing us a disservice by setting our goals too high. He don’t know what I know, and I know he’s wrong. The BBN is exactly what we need – an easy to identify, inexpensive, idea that is a litmus test for elected leaders and bureaucrats alike. we need something that protects the lives of existing cyclists BEFORE we start talking about improving side-streets for new cyclists. people are dying out there. let’s not forget that.